What’s in a name? This was a question asked by Shakespeare centuries ago and one that is still of importance today. If it weren’t, the question would not still come up as persistently as it does. Many of you don’t know this, but my full name is Doris Elaine Wood-Lane. I was named Doris after my Aunt Doris, who was my mother’s youngest sister. I was always called Elaine from the day I was born, but nonetheless my first legal name was Doris and forever will be. I was the only child my parents had that was named after anyone in my mother’s family, which I always found significant. It revealed the deep love Mother had for her baby sister. The day I was born and Aunt Doris found out I had been named after her, she brought a beautiful little gold locket necklace with my initials on it up to the hospital straight away. I wore that locket for years and years until it was nearly worn out. Then I put it in a safe place, which as we all know, means I haven’t found it in years! I’m still hoping it will turn up someday, however, as I still have boxes of things from both my parents’ house and my own that I moved to Colorado. So, why am I saying all this today? Well, first of all, last week when I went to Lubbock, I felt an urgency to visit my Aunt Doris and tell her how much I loved her and how honored I had always felt to bear her name. I arrived in Lubbock on Saturday and went to see Aunt Doris on Sunday afternoon. We had a good visit. She noticed the tattoo on my arm that says, “Elaine” and laughed when I told her that way, even if I got senile, I’d always know my name. She pointed out that they would always call me “Doris” in hospitals and nursing homes, which is absolutely true. Every teacher, every doctor, and every employer has started out calling me “Doris” until I corrected them. Well, my doctor still calls me “Doris” and I just go with it. Perhaps I should add Doris to my tattooed arm so that when I am senile and someone calls me “Doris,” I’ll know that’s me! Aunt Doris went into the hospital last Wednesday night and my sister Judy and I went to visit her Thursday afternoon. She was in good spirits and sharp as a tack. She never needed her name tattooed on her anywhere because she knew who she was and what she wanted. She had heart and blood pressure problems, which had been going on intermittently for years. Most of her siblings, including my mother, had heart disease. Her doctors had given her the options of a risky stent placement or medication. She decided to try medication first to see if it would work. Apparently it didn’t and she was expected to have a stent placement procedure today. Unfortunately, she passed away early this morning at 3:55 AM. I’m so very grateful that I was allowed the opportunity to visit Aunt Doris twice last week and see her in such good spirits, being the sharp, witty person she has always been. Aunt Doris always said what she meant and didn’t hold back too much on what she said, but always with kindness and generosity. She helped so many people over the years, especially with her lively encouragement and love. She sold shoes at Famous Brands shoe store in Lubbock for over 40 years and loved every bit of it. Even Thursday, when we visited her at the hospital, she was talking about her doctor having on a lovely pair of super high heels that she admired. I laughingly held up my foot to show her my black flats and said I wasn’t a stylish shoe person as I went for comfort more than anything. She wasn’t too impressed, but laughed and said, “to each their own!” I think what Aunt Doris loved the best about her job was her customers. She had devoted, loyal customers who went to her for years to buy their shoes, even though they could have found less expensive shoes elsewhere. She made every customer feel special. She remembered their shoe size, what they liked, and took her time with them. She got to know them personally and asked about their families as she helped them. She embodied customer service in a way rarely seen these days. Well, I didn’t mean to write a book here, but I if anyone deserves a long post, it’s Mabel Doris Gill Jorgensen. 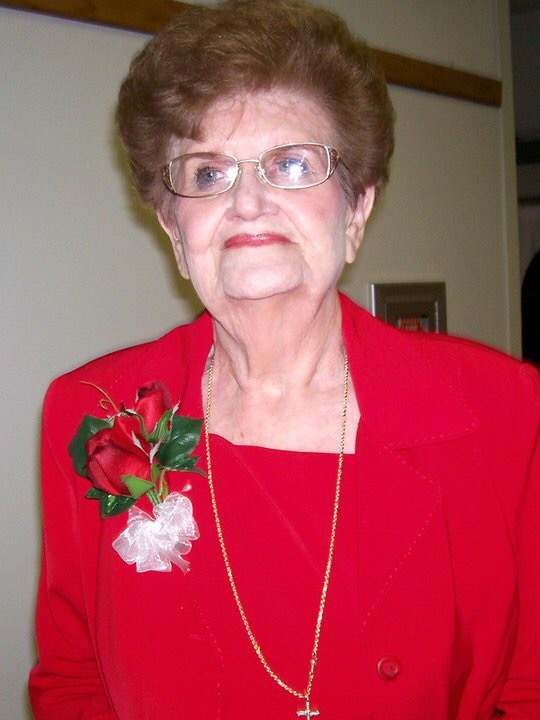 Aunt Doris, your spirit of love and liveliness will be deeply missed. Your beauty, kindness, candor, wit and generosity will never be forgotten. I might have to tattoo our shared name on my arm to remember us when I get senile, but nonetheless, I always want to remember you! You are definitely one to be remembered and I still feel deeply honored to still bear your name.